The new 49er Levi’s stadium in Santa Clara will have a major impact on businesses around the area. As part of a re-branding effort partially associated with this major stadium, Paramount Great America’s security patrol team which is right next door decided to update their logo to a more visible and recognizable design. 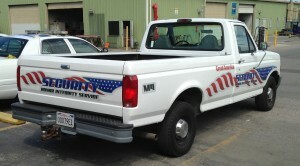 They contacted Signs Unlimited for design and product consultation. The designs were finally completed and custom graphics were produced for their Crown Victoria cruisers and the Ford truck. 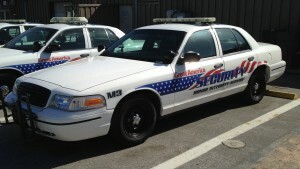 We used reflective graphics for better visibility at night and custom colors. Here are some photos of the completed work. 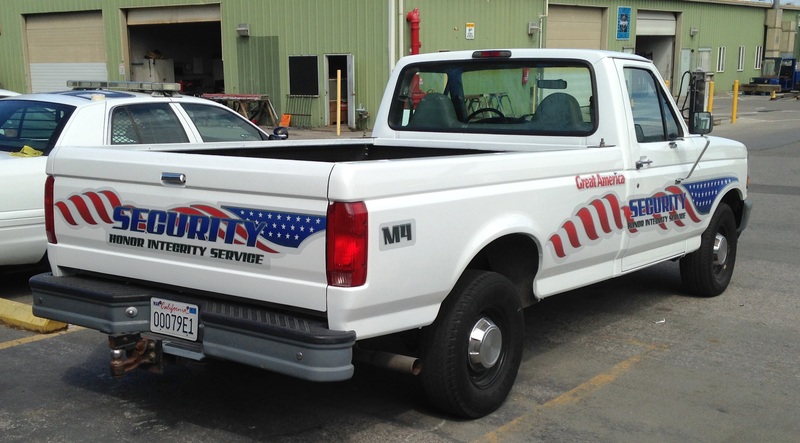 If you need vehicle graphics or any other type of signs or banners, please call the best source in town at 408-224-2800 or email us at sales@esignsunlimited.com.